Riscure security expert Kevin Valk looked into the security aspects of his own connected, cloud-controlled thermostat and discovered a series of alarming issues. This write-up shows how a modern IoT device could be compromised, but also, how the security could be improved. In the end Kevin offers an advice to developers of connected devices to improve their defenses against cyber attacks potentially leading to denial-of-service, intellectual property theft, and customer data leaks. If you are interested in evaluating the security of your IoT solution, please fill out the form below and we will get in touch with you shortly. My name is Kevin Valk and I am a Security Analyst at Riscure working mainly in mobile security (e.g. payments, HCE, MPOS, etc). Not so long ago, I bought an IoT thermostat called Anna from Plugwise to enable me to regulate the temperature in my house better. When setting up Anna, you need to go to a web interface to configure the device. I remember that at a specific settings page, I received a 500 status page with a full Lua stack trace. As you can imagine, this made my skin crawl when I realized that this device could potentially be a gaping hole in my security. For any security aware person with some basic electronics knowledge, the PCB was like a treasure trove; everything clearly labeled and some debug headers to boot! You can clearly see the main microcontroller, RAM and Flash. Moreover, tracing the 5-pin header shows that this is indeed an UART debug interface. Surely this is disabled in production?! Alas, simply connecting a UART cable to the UART and hitting a key to stop the autobooting process, we obtained runtime control over Anna. The CLI interface presented by U-Boot can be used in a myriad of ways including reading flash memory. This whetted my appetite, I wanted to dive deeper and for that, I needed to have a flash dump of the file system. One possibility to obtain the file system is to directly read out the flash IC (winbond 25Q128FV) using off-the-shelf tools. However, we already have access to the U-Boot shell, why not use that? A small Python script and two dumps later we successfully obtained a verified dump of the complete flash IC. From the initial U-Boot shell we already knew that a customized version of OpenWrt was used on this device. This means that we will have a SquashFS partition for the read-only root file system and a JFFS2 partition for all the user data. It certainly does not look like text, but it is also not normal bytecode. More research showed that this is a custom encryption scheme that Plugwise made to protect its Intellectual Property (IP) on all its products. Some reverse-engineering efforts later we obtained a simple Python script that is able to decrypt both the encrypted bytecode and the encrypted source code. The encryption key was placed in the Lua interpreter itself and hence easily obtainable through static reverse-engineering. After decrypting all files we have obtained the original source code (including comments and TODO’s) and bytecode. Further analysis can be performed to find other potential ways to compromise the system via specially crafted HTTP requests. This is especially an interesting attack vector because the web-interface is running under the root user. During the investigation of the file system and the web-interface, a feature called SSH relay kept popping up. Normally, SSH relays are used to bypass firewalls through setting up reverse tunnels. The Anna thermostat is installed in unknown networks and SSH relays can be used to keep access to the device from the outside. Upon closer examination, this was exactly what Anna was doing to give Plugwise access to the device after deployment in the field. There may be many valid reasons for implementing such a feature, but if it is not done securely, it essential creates a massive security hole in the consumers home network. To that end, I decided to investigate how the reverse tunnels were created. Opening the Anna thermostat to the world! Plugwise has a complex and dynamic HTTP API to let the devices interface with the back-end. One of these endpoints is used to obtain a private key to login in the back-end and setup a reverse SSH tunnel. If the SSH users on the remote server is not properly protected, an attacker could use this private key to gain an unprivileged shell on the back-end. 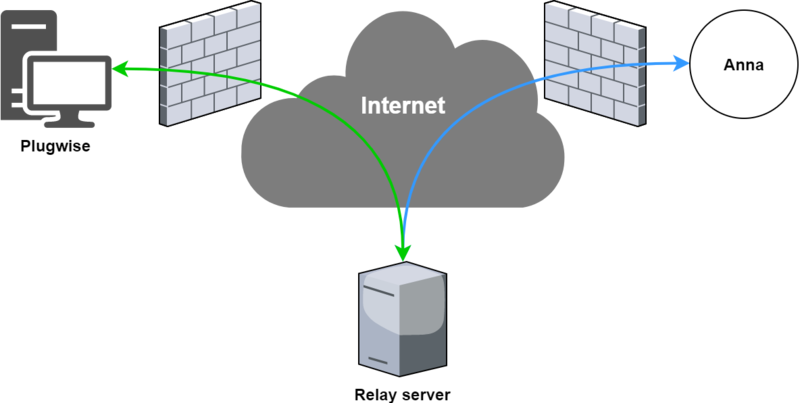 While the architecture of using SSH reverse tunnels is not the best, it is not wrong if setup correctly. To verify that an attacker is unable to compromise the server easily, I performed the same API requests as Anna to obtain the private key. With the private key I could try to setup an interactive SSH shell, fully expecting it to fail as only tunnels are needed. You can understand my horror when I was presented with this message. I immediately terminated the SSH session and thought about what happened. Not only did we get a low privileged shell, the system was running an image from 2014! That means that there are a multitude of privilege escalation exploits available to gain root on this system. Who knows how other servers are connected and how a root user on the relay system can move laterally through the Plugwise back-end network. There was only one final issue that I wanted to verify before contacting Plugwise. If an attacker knows the IP of the Plugwise relay server, can the attacker perform a port scan and connect directly to devices deployed in home networks? When performing a simple port scan on the relay server, I was presented with the following open port list. In total there were 205 reverse SSH tunnels that go directly to a Plugwise device in some home network. Luckily, the SSH servers in the devices only allow a root user to login with an SSH key. However, the fact that these device puncture holes in home network firewalls and listen on a public accessible server is far from ideal. On 2018-06-16 Riscure started its coordinated disclosure procedure and sent the initial email with details on the uncovered problems. Riscure and Plugwise had multiple calls between that time and the writing of this blog post to resolve the most urgent problems. With much relieve we can state that they updated all back-end servers and completely locked down the SSH relay users. This product was interesting as it contained no significant security countermeasures until the Lua application which almost felt disproportional. However, the customized secured Lua interpreter was easily defeated because it was security through obscurity. 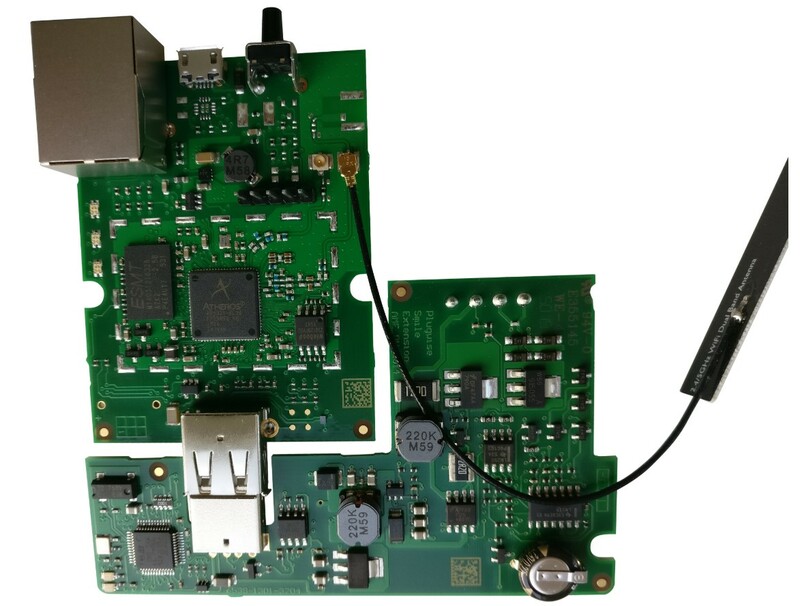 While analyzing this device, we identified common mistakes and Riscure would like to share some generic pointers on how to improve the security of embedded and IoT devices. The list below is far from complete but offers an essential guidance on IoT security enhancements. Disable or lock debug interfaces in production to prevent attackers from easily learning about the system internals. Encrypt the flash to prevent attackers from directly obtaining the plain flash contents. Alternatively, usage of a SoC with integrated memory or hiding pins/traces/pads to the flash IC makes it more difficult for attackers to dump the flash. Protect keys by moving them to hardware or runtime to prevent attackers from obtaining the key through static analysis alone. This significantly raises the effort required (runtime control of the device) by an attacker. Privilege separation of applications to add a layered defense. In that case, compromise of the web-interface (if possible) would only lead to a low privileged user. Make sure that all back-end server are kept fully up to date at all times (preferable automatically). While relay servers can be useful, it is often not the best solution from a security point of view. On the off chance that a relay server is used, make sure that only you can access the reverse/forward tunnels. Thank you! Our sales team will get in touch with you shortly!